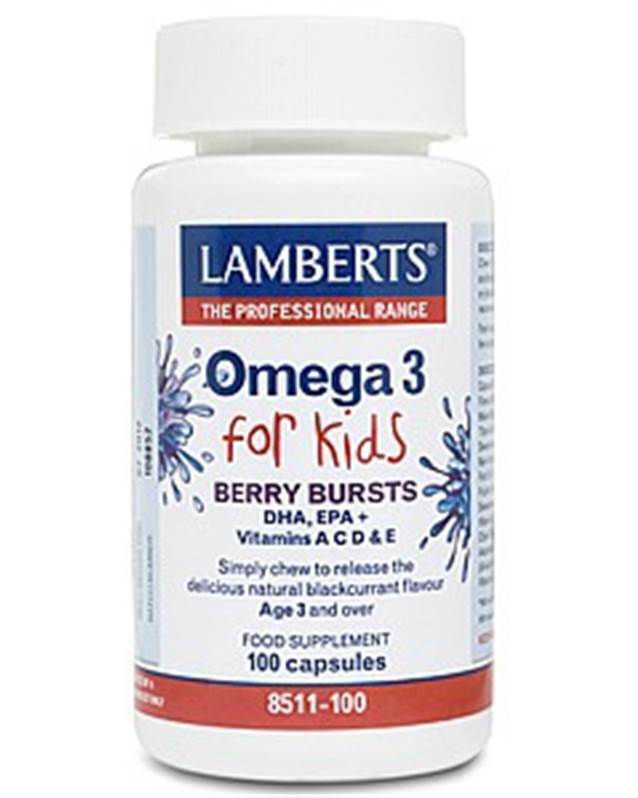 Lamberts Omega 3 for Kids Berry Bursts. DHA, EPA + Vits A, C, D & E. rich source of omega-3 fatty acid DHA essential for brain function & healthy immune system & healthy skin, teeth, bones & eyes. The unique blend in the Berry Bursts is produced using one of the most sophisticated purification processes that minimises any ‘fishy’ aftertaste.